You’ve worked hard for what you have. You deserve a financial planner who understands what your financial dreams mean to you, who crafts a plan that works for you. That’s just what each client finds at Contento Financial Planning. Shawn Contento listens. She gets to know you very well. She’ll learn who you are, where you’ve been, where you’re going. She’ll help you understand the numerous choices available, from Individual Retirement Accounts to College Savings Plans to Annuities and more. 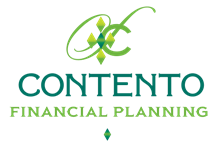 If you’re looking for a financial planner who makes sure your dreams are heard and who brings over 10 years of experience to the table, as well as a savvy understanding of what’s happening in the investment world, you’ve come to the right place. Securities and investment advisory services offered through Woodbury Financial Services, Inc. [WFS] member FINRA, SIPC. WFS is separately owned and other entities and/or marketing names, products or services referenced here are independent of WFS.